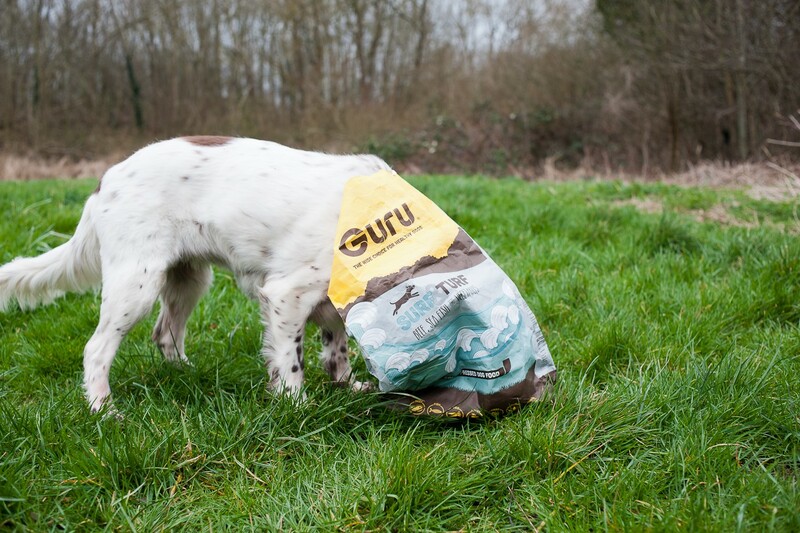 Our journey with Guru started last year during the summer, we went along to the Game Fair at Ragley Hall, not ashamed to admit we actually pretty much went solely to go to the Guru stand and see what all the hype was about that we’d seen online. 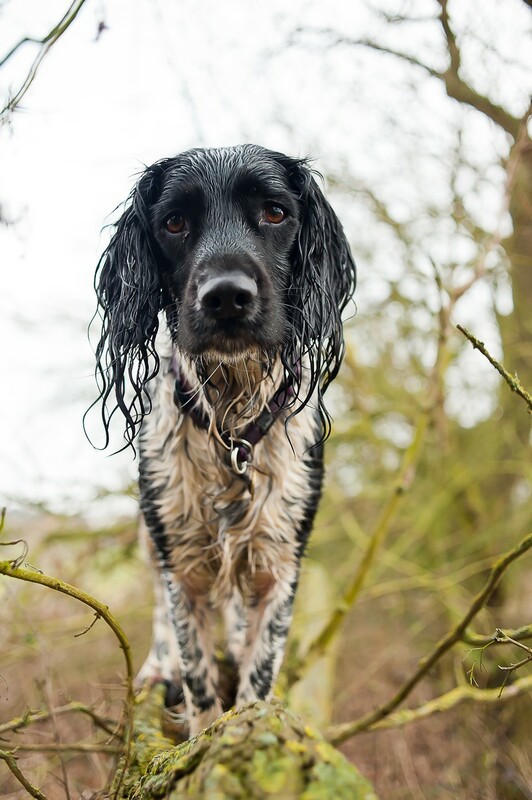 The main reason for wanting to visit and then eventually swap to Guru is; we like spoiling the dogs and giving the best of the best if we can; because why not! As well, it contains Glucosamine and Green Lipped Mussel (along with the meat, fish, vegetables and other healthy extras) as Tobie; 10 at the time suffered with her arthritis quite frequently and unfortunately all treats and aids we gave her at the time didn’t do too much to help her out. 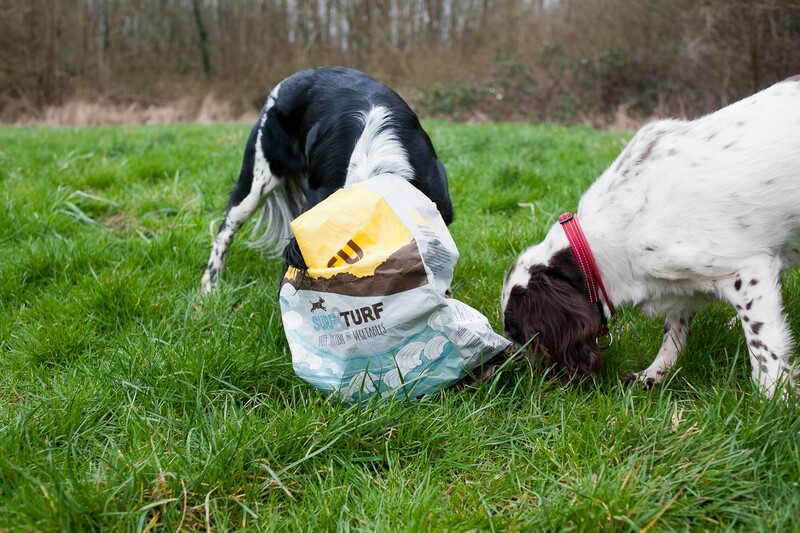 The girls had also been fed on supermarket and shop brands of food which caused fatty lumps for Tobie; general bad odour and carrying extra weight for the both of them! After a very lengthy discussion with Lisa we walked away with a bag of Surf and Turf and a couple of Trip Bones for the girls to try. Once we got home the dogs got their Trip Bones straight away, not even a sniff was required. Gobs open and running off to their respective spots to chomp away and it’s been a love affair ever since! Both Tobie and Lexi adore their dinner time (as we only feed in the evenings), as opposed to previously being so unbothered by their kibble they had no bother if their feeds were delayed until we were back in from work, which at the time could be quite late into the evenings/night. However, now there is no such luxury and we can’t get past 5pm without Tobie begging, whining and otherwise overly suggesting our watches must be wrong and that right now is their beloved dinner time(!!). Considering they don’t get fed ‘til 7pm in the winter and 8pm in the summer Tobie certainly knows how to scream and shout for what she loves! 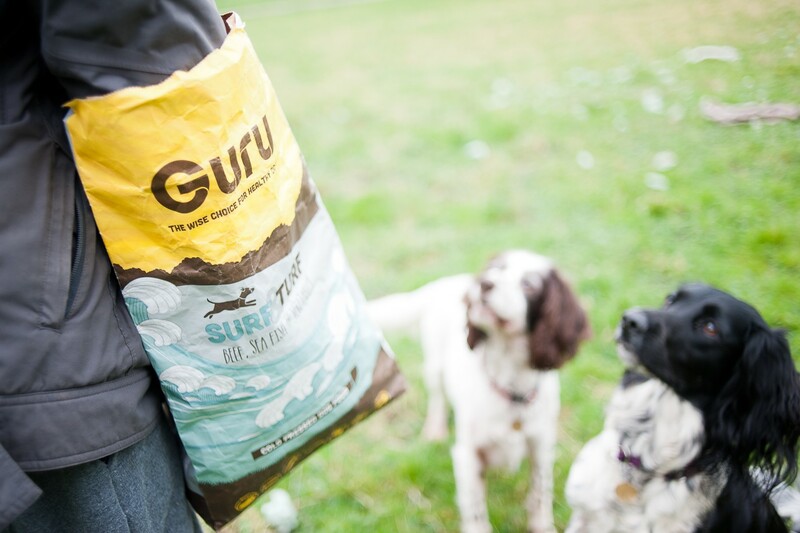 We use Guru as their full meals, as treats on walks and in their handy trip bone form (most loved for our holidays to the beach!) – they’ll take as much as they’re given and a lot more! The biggest and best result from the change has been in Tobie; with a better result than we could ever have hoped for. 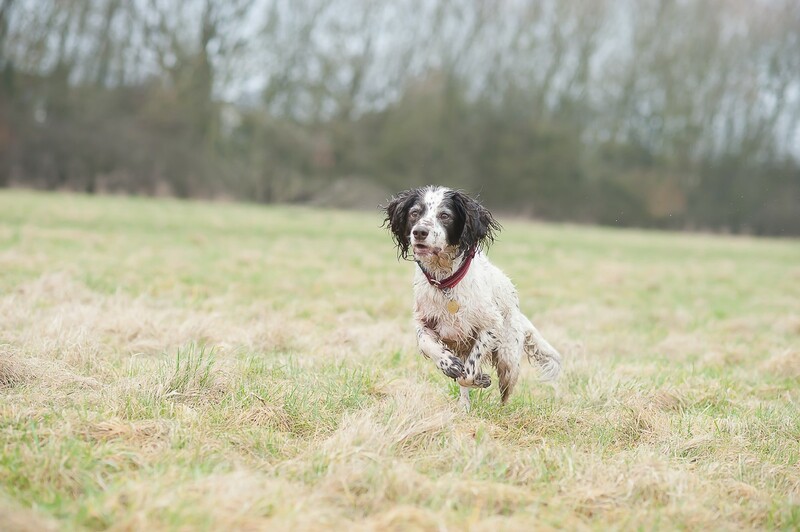 She has gone from a slightly chubby, achey jointed 10 year old, to a svelte, shiny coated, active and food begging 11 year old, that it’s hard to believe she’s not just years younger! We adore how reactive the girls are, too. Lexi is a lot calmer now, there are no nasty additives in her food, and has become a dream both physically and mentally now. 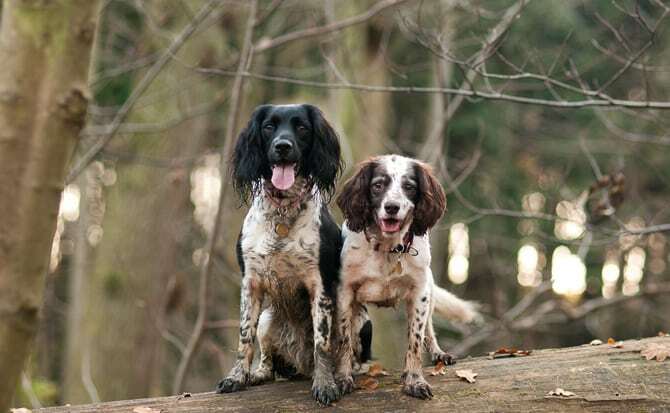 A 14kg bag lasts Tobie (15kg) and Lexi (18kg) a good 6-7 weeks – with a few trip bones spread out over the time as well – which is just an added bonus to it all! We’d never look back or feed anything else ever again and are willing to find a tall peak to shout about Guru from! !